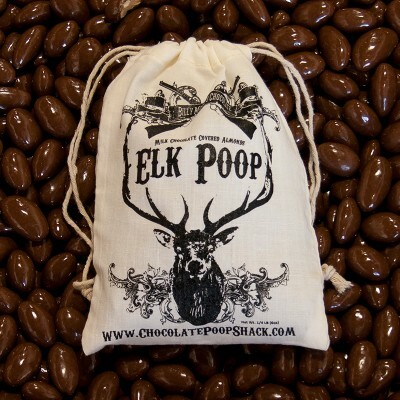 ChocolateAmmo.com carries a wide variety of unique gift ideas. We have lots of great chocolate gifts, including the renown Chocolate Bullet Military Tin - yes, contains delicious chocolate bullets! We carry great gifts for Dad with a wide variety of gifts for Father's Day. We have some great Christmas stocking stuffers and delicious chocolate gift ideas for everyone on your list. We even have great gift ideas for military and hunters. Bottom line - we carry lots of chocolate and very affordable gifts! Click the links below to find great chocolate gifts for men who hunt, fish, are in the military or for men, woman and kids who just love chocolate! Chocolate Bullets, Chocolate Shotgun Shells, Chocolate Hand Gun, Wood Duck Tin, Trout Fishing Tin, Bass Fishing Tin, Big Game Tin, Bird Hunting Tin, Chocolate Hand Grenade, Chocolate Ammo Candy Kit, Package Specials, Chocolate. Our chocolate gift shop carries gifts for Dad, gifts for men, gifts for hunters, chocolate gifts, chocolate ammo, chocolate bullets, chocolate shotgun shells, chocolate ammunition, chocolate candy mold, chocolate molds, chocolate ammo kit, gifts for outdoorsman, chocolate candy making kits, Father's Day gifts, chocolate gifts for kids and great chocolate stocking stuffers. We also carry gifts under $10. The Chocolate Ammo concept originated from our love of the outdoors, hunting and our right to bear arms in this great country. We proudly encourage the responsible use of firearms and enjoy promoting their use with our novelty collector tins. All of the collector tins make great storage containers for all of your real ammunition. They will hold up to 1,000 rounds of .22 caliber bullets; up to 200 rounds of .45 ACP and over 50 rounds of .308 ammo. All the tins are lockable with a small lock placed through the latch. They are stackable so they are easy to store. They make great gifts for men who hunt, fish, and enjoy the the great outdoors. The dimension of each tin is 3.5” W x 3.5” H x 5” L.
Chocolate Bullet Military Tin: The Chocolate Ammo collector tin is still our most popular chocolate novelty gift. It makes a great gift for military men and woman, great gift for Dad, or great gift for gun lovers. This is a great Christmas gift. This Military style tin comes loaded with delicious chocolate bullets. 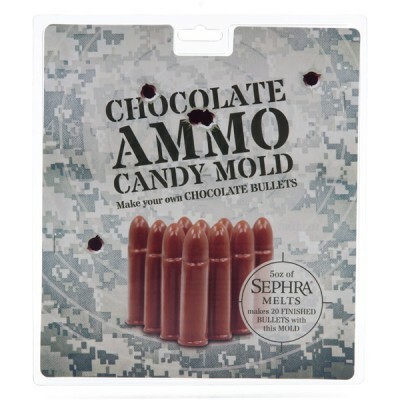 Also try the Chocolate Ammo Candy Making Kit so you can make all the chocolate bullets you want. The chocolate bullet mold makes 10 bullets per tray. Purchase a full size candy making tray which will allow you to make 20 chocolate bullets at one time. 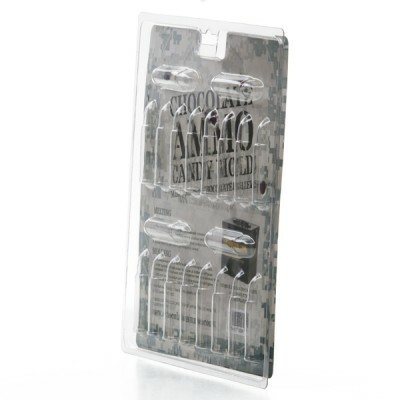 Chocolate Ammo Candy Making Kit: This wonderful gift set comes complete with the Chocolate Ammo collector tin, a chocolate bullet mold which holds 10 chocolate bullets at a time, four plastic trays in which to place 20 finished chocolate bullets and 6 oz. of chocolate candy with which to make approximately 20 chocolate bullets. Purchase additional chocolate candy in the store so you can make as many chocolate bullets as you want, any time. Available in Milk and Dark chocolate. Great gifts under $20. Vintage Chocolate Bullet Tin: Best gifts for hunters or chocolate lovers. Our vintage chocolate bullet tin is decorated with original Currier & Ives artwork from the late 1800’s making the whole set a great gift for collectors. It depicts the drama of the buffalo hunt and the adventurous deer hunting trip with good friends. This chocolate ammo tin is filled with 20 delicious real chocolate bullets. 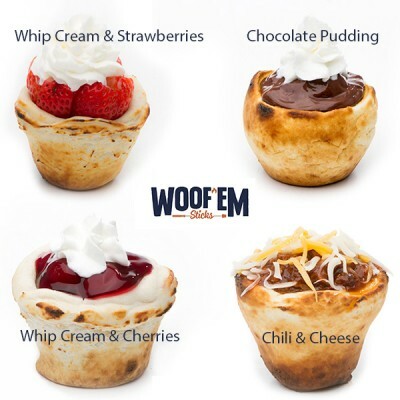 Many customers have commented they were surprised how delicious the chocolate is! 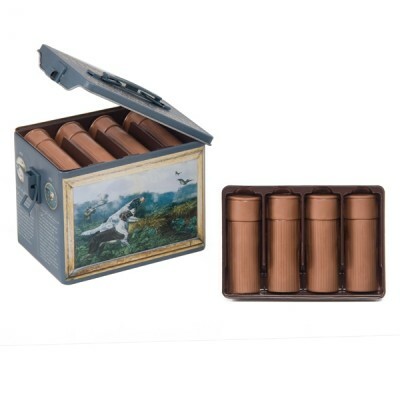 Chocolate Shotgun Shell Tins: Beautiful collector tins contain chocolate shotgun shells filled with peanut butter. Talk about great gifts for men who love guns! These collectible tins make great gifts for military men and woman too. They are fantastic! Each chocolate shotgun shell collector tin holds 8 chocolate peanut butter filled shotgun shells. 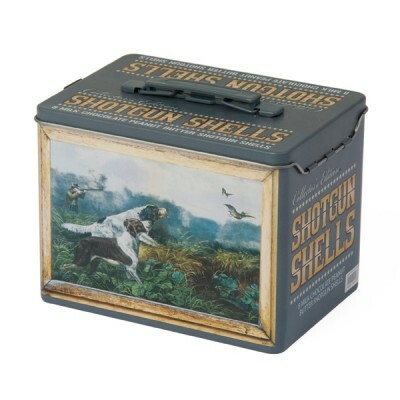 The shotgun shell collector tins we currently produce are the Vintage Bird Hunting Tin and the Wood Duck Chocolate Shotgun shell tin. Each is designed with original artwork which make it a beautiful collector item besides being a great way to store you real ammo and other related supplies. Talk about great gifts for duck hunters! Collector Fishing Tin: For all those who love to fish, we have created two unique fishing collector tins. These make perfect gifts for fishermen. The first features vintage Currier & Ives artwork illustrating the fun of trout fishing and a bounteous catch. The second fishing collector tin features artwork of famous wildlife artist Mark Susinno and depicts the fighting fun of catching largemouth bass. Each of these tins contains delicious gummi worms for snacking on while you are out for a wonderful day of fishing. This collector's item makes a unique gift for fishermen and is ideal for storing your fishing gear. Chocolate Hand Grenade Tin: For chocolate lover in the military, we created a full size chocolate hand grenade. It is molded hollow so it can be broken in to many small pieces of chocolate shrapnel safe for the eating. It is the perfect gift for military men or chocolate lovers of all ages. 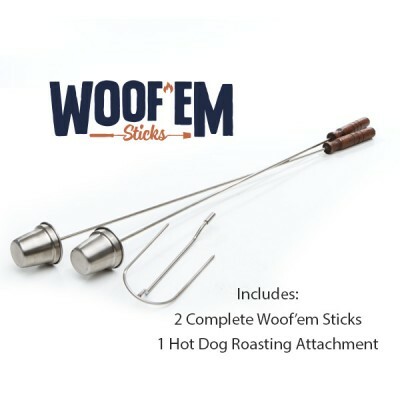 These are one of the best stocking stuffers and are a great gift for under $20. 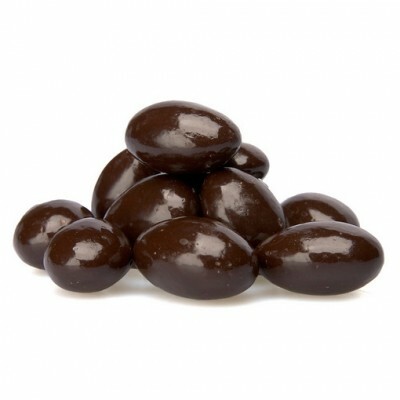 The chocolcate hand grenade is made of delicious Belgian chocolate. The collectible tin which looks like a wooden case holding hand grenades and is marked "explosives" so it makes a great white elephant gift. Chocolate Hand Gun: What a great gift for gun lovers. No chocolate arsenal would be complete without a chocolate handgun. This full size chocolate handgun is made of solid chocolate candy. It comes packaged in an actual hard plastic handgun case which is fully padded with foam on the inside just like a real handgun. This chocolate handgun is the perfect gift for Dad for Father's Day or anyone who likes handguns and would get a kick out of having a handgun made of chocolate. Once you have devoured the chocolate handgun you can use the gun case for your other handguns. Enjoy and have fun with this great chocolate gift. Marketing Tools: If you sell any of our Chocolate Ammo products, we are delighted to share all of our product images and marketing materials to help you get these great items in front of your customers.